Three weeks ago today, Mother Nature gave the world a stark reminder that she spares no one, regardless of class, age, race, or any other factor. We are all at her mercy. It also served as a reminder that as a civilization as a whole, we need to stand together and help one another. Because if the situation were reversed, we hope that the world will do the same for us. It has been devastating watching the images from the last three weeks. Whole towns wiped out. Family members desperately searching for their loved ones. 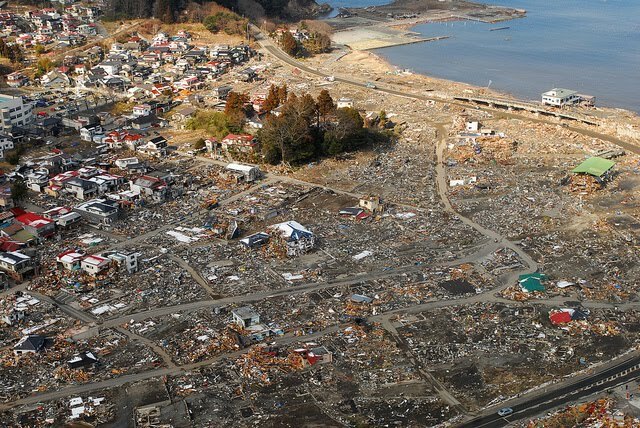 The Japan earthquake and tsunami, like many other disasters in the past, brought things into perspective and reminded me once again of how incredibly lucky I am. Being thousands of kilometers away, one feels so helpless watching these images flash across the television screen. So when Heena tweeted to see if anyone might be interested in helping out with a charity bake sale, I immediately jumped on board. Baking I can certainly do, so why not put it to good use? Inspired by other charity bake sales around the world, like The Great Kiwi Bake-Off and Samin’s BakeSale project, Heena and Niya quickly went to work and rounded up professional and amateur bakers, venues, organizations, and more to help out. The outstanding outpouring from the community has made this event grow into a weekend event, with six venues on board and countless more people donating their time and goodies. 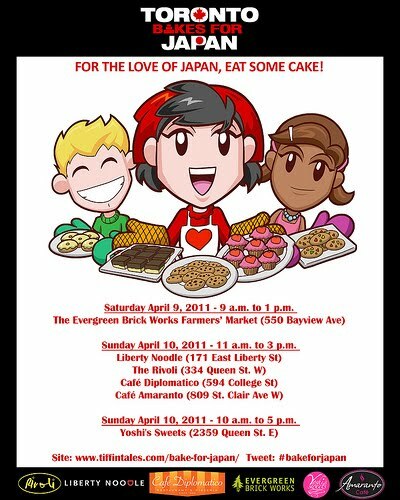 Toronto Bakes for Japan is proud to support the Japanese Red Cross Society. 100% of all proceeds from this initiative will be donated directly to the Japanese Red Cross Society. 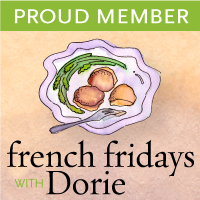 So if you live in or around Toronto, join us next weekend. There will be tons of delicious treats baked by some of the cities finest bakers, and you'll be helping in a great cause! For more information, please visit Toronto Bakes for Japan. Want to help out in other ways? Be sure to check out the wonderful organization Toronto to Japan to find out about other initiatives in and around the community. Toronto to Japan will also be hosting their event, Hope Blossoms, on Thursday, April 21 at the TIFF Bell Lightbox. Tickets for this event will go on sale April 10.